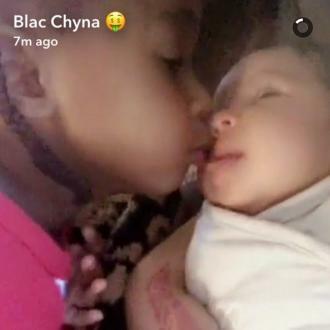 Blac Chyna has shared an adorable video of her two children - King Cairo Stevenson and Dream Renée Kardashian - bonding together. Blac Chyna has shared an adorable video of her two children bonding. 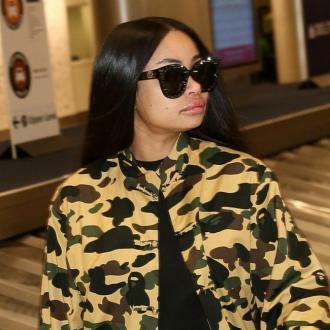 The 28-year-old model has taken to Snapchat to share a heart warming video of her four-year-old son King Cairo - whom she shares with ex-boyfriend and rapper Tyga - showering his one-month-old sister Dream Renée Kardashian, who's father is Rob Kardashian, with love. King Cairo then proceeded to plant two loving kisses on Dream's face. 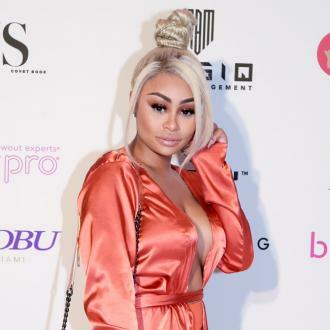 The sweet video comes after the 'Rob & Chyna' star recently revealed she had to hide her first pregnancy, and is happy she can now share snaps of her daughter with the world on her social media accounts. She said: ''With my first pregnancy, I didn't do a maternity shoot, I didn't have a baby shower. Meanwhile, Chyna and her fiancé Rob, 29, have recently moved into the old house of Rob's half sister Kylie Jenner - who is now dating Tyga. A source said previously: ''Rob wants to live with Chyna and spend every day with Dream. He's making a big effort to get along with Chyna. She seems very happy with him. They are getting along great and enjoying parenting together. When Dream was first born, the couple initially decided to live separately as they didn't want their little girl to see them ''fighting''. 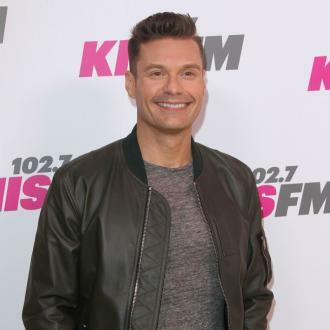 At the time, an insider added: ''They are living separately right now until the baby is born because they don't want the fighting to affect the baby.